Fond of playing card battle games? 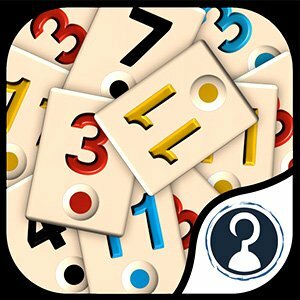 Are you looking for a list of popular card games online? Browse our free card games category which includes classic solitaire and other poker games. Enjoy card games for kids here too! Download and play now! Have you been looking for the latest and popular card games? Do you want to experience what it is like to be a high roller? It is time to wear your best poker face, pull up a chair, and enjoy playing card games like Bridge, Blackjack, and Solitaire. You can choose single player card games for yourself or 2 player card games with your partner. Games.lol has the largest collection of free card games online! Here at Games.lol, we do not just know a thing or two about card games – we know a lot about it. From card games for kids to adults, we offer an extensive collection of card games that are not only the best but are also free. You can enjoy classics like Spider Solitaire Classic, as well as some of the best class card games (e.g. Canfield Solitaire, Bridge, Blackjack, etc.). We did not forget about the kids as well. Play UNO, the ultimate card game for kids. Not only is this game kid-friendly, but it’s also the best game for everyone in the family to play together! Talk about family bonding! Fun Fact: Did you know that China was the first country to invent card games? This was during the 9th century AD, and it gradually spread to India and Persia. Subsequently, playing card games were introduced in Europe around the 14th century? You do not have to be an expert to enjoy card games online. Simply select the game, download it and you are ready to play! Meet players from all over the world and put your card gaming skills to test! And oh, there is no card shuffling or removing jokers required here. It is all the fun stuff! Looking for a quick fix of the most played card game ever? Now you can play the classic solitaire game anytime that you want without the need for physical cards. With the free online Solitaire game, get the relaxing effects of playing the popular card game at the comfort of your computer screen. This is a great card game for kids and adults. The free Solitaire card game has been updated with a modern and fresh interface that looks visually stunning in all of your devices. You can also send your friends an invitation so that you can play with them anytime, anywhere. With a sleek animation, easy-to-use controls, and high-quality graphics, you will enjoy the fun brought by the original card game in your own computer. Challenge yourself in two game modes – hard and easy. The game can be customized with 14 app backgrounds and 31 card backgrounds, and you can also play the game in either portrait or landscape orientation. Compared to the classic Solitaire, this game features unlimited undo moves to reset your last move, hints to help you with your next move, and an auto-complete option if you want the system to help you to win the game. The classic game with a modern twist. Spider Solitaire Classic is the American take on the classic solitaire game. Spider Solitaire Classic is played with two decks of cards rather than the conventional one pack, and you can also play with up to 4 suits of cards. The goal of the Spider Solitaire game is to build a descending suit of cards starting from the King up to the Ace. 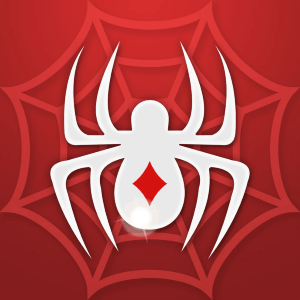 Spider Solitaire Classic is a great game if you are looking for some casual fun before going to bed or when you just want to play an easy game to kill time. Spider Solitaire Classic can stimulate your brain in ways that you can’t imagine. You can customize the game according to the degree of difficulty that you want. Play with one suit of cards for an easy and light game. If you want to add more challenge, increase the packs of cards up to 4 and have fun winning the game. For a great game that will both challenge your brain and provide you with limitless entertainment, Spider Solitaire Classic is just what you need. It is a free online classic solitaire game that even the kids will love. You can enjoy two-player card games and these are free card games. Different card games for two people come in different categories such as fun card games and wildcard games. Download the card games here for free and have your fair share of fun!